Hmm, hello, is anyone there? First of all I would like to put you in context of what this means, as an indie developer you realize at some point that not only do you have to program, model, sketch or draw, but the time comes when you find yourself in need of tell what you are doing, define your project and tell it to the world, that's why I am here. 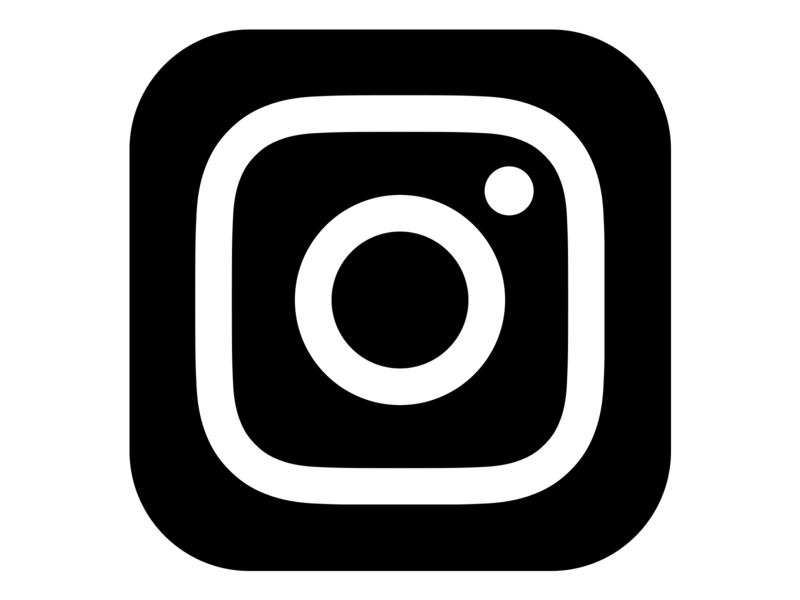 I’m Daniel Barreno and I will introduce you to this little world that I am creating together with Isabel Armentero called NetherWorld. 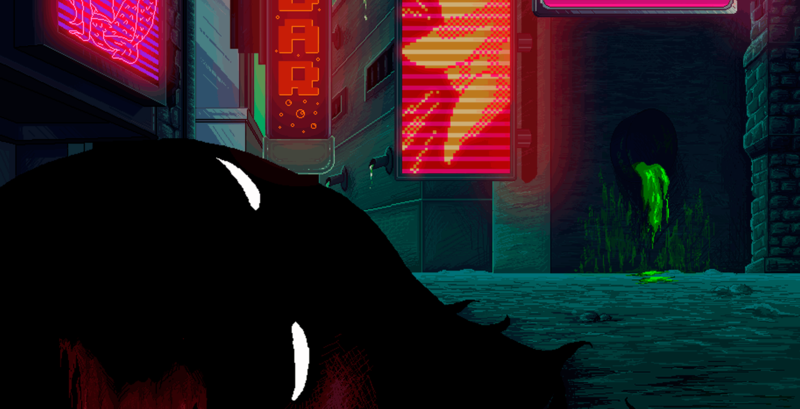 NetherWorld was born as the need to tell a story, a different story, a video game "pixel art" can have a good narrative and dialogues. We have been working on this game a little over 8 months, among other things we have worked on the visual, finding a style in which we feel comfortable and according to the nature of the title. And this is his almos final state. 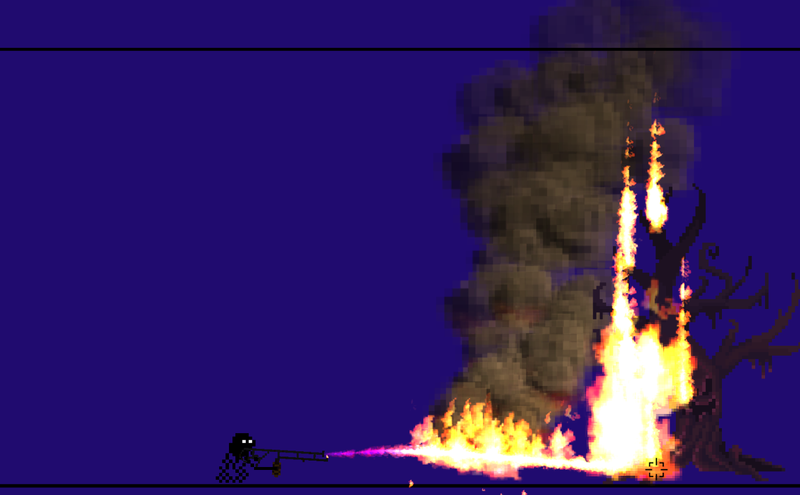 I would also like to talk about the playable section, in Netherworld we will have both firearms, shields and swords, each one of them will be needed to finish with an enemy in particular, almost all of them are already developed, but today we are going to show you one in concrete, our flamethrower. Ok, let's take a look at the stages of development that we have when we are going to create a new weapon. 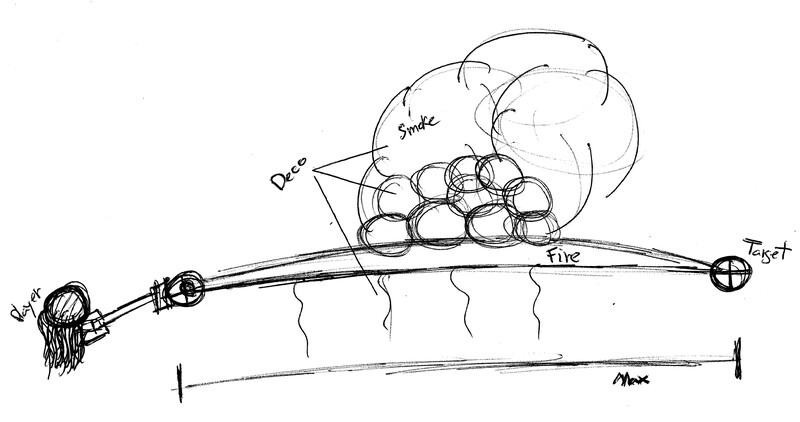 Now we can start to implement it, usually I start with the bullet, in this case the fire. A unity particle system, nice and easy to implement... well, actually they are 3. 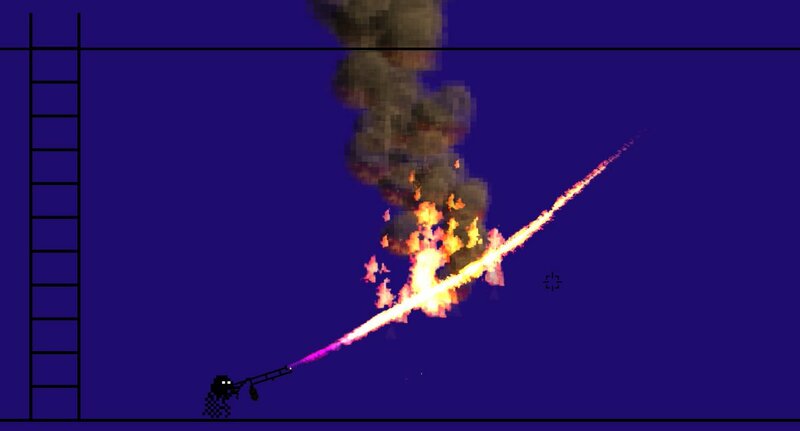 The flamethrower's sprite is not its final version, it's simply a prototype drawn quickly by me to start implementing it, Isa will improve it a lot. ok, now we have to be able to shoot it and control the flame. the next step is to test its behavior against objects and enemies. We'll talk about those pixilated arms in a dedicated article. 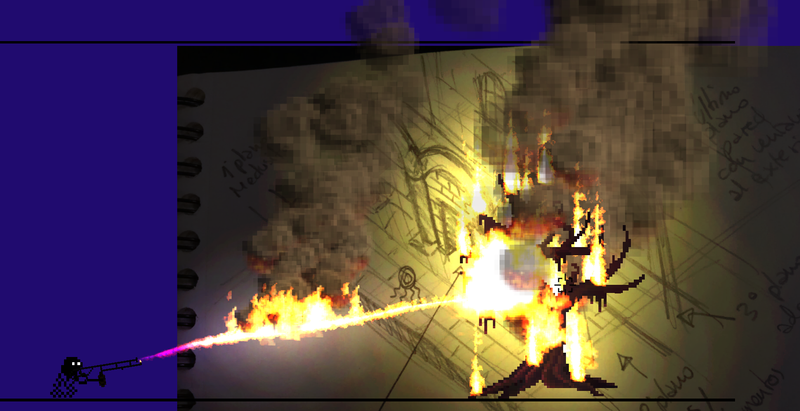 Time to debug, we have the following problem, the position of the decoration flames and smoke was not consistent when the flames had a length determined by the obstacle, we solve it by determining the distance to the obstacle (Raycast) and repositioning the decorative elements based on that distance. Normally we now add and test the light generated by the weapons, in this case it is a bit more complicated. 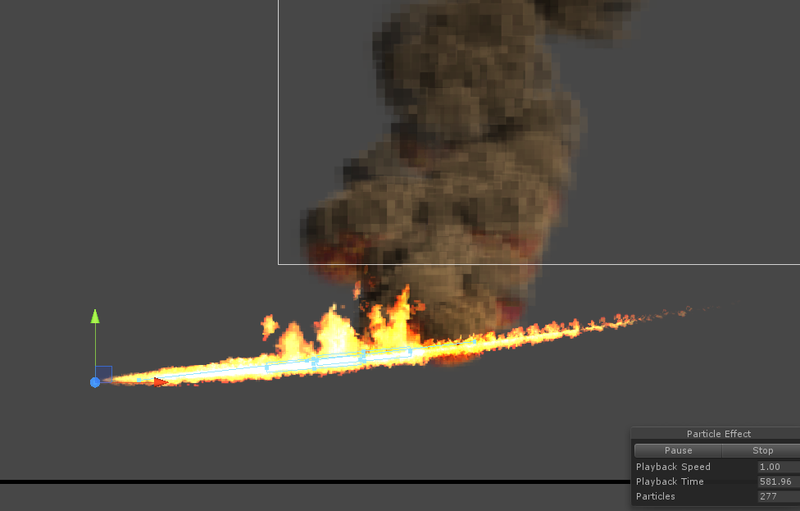 Yes, I used a concept to test flamethrower's light. And finally, integrate into a scene of the game and verify that everything is fine. I hope this is to your liking, we will try to have this updated monthly. Isabel and I wish you a happy new year. Looks fantastic! I know the hardships of spending years on a game to finally finish and discover your also about to become the marketing department on top of everything else. Great work!